You have the vacation of your life coming up, but you are worried about leaving your fur children home. What are your options? How can you make sure that they are taken care of? Will they miss you? Will they get depressed when you are away for awhile? Will they be lonely? Will they get bored and tear up your house. Let’s discuss the options so you can enjoy your vacation and know that your pet will be well taken care of during your absence. I personally have always had a professional pet sitter stay with our pets when we are out of town. She is awesome. She even sends us updates and pictures. We do not have to worry about them being well taken care of. She comes to our home and feeds them, gives them fresh water, plays with them, takes them for a walk if necessary, gives them medication, gets our mail, brings in any packages sitting on our door step and sets the house alarm when she leaves. She will even stay all night with pets if needed. All the pets we have had love her. We found her through a local vet. She was highly recommended. How can you find a great pet sitter? Check with your vet, get referrals from friends or look on the Pet Sitters International website. Make sure you interview the sitter and check references. Most importantly, make sure that your pets instantly bond with the pet sitter. Some pet sitters will keep your pet in their home. Make sure you visit their home to make sure it is a safe place for your pet. All pet sitters should be insured and bonded. Another option is to board your pet. 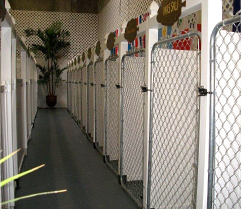 Check with other clients that have boarded their pets and discuss their experience with the facility. When choosing a boarding facility, make sure you visit them unannounced so you can see what really goes on. The facility should be clean. Make sure the staff interacts with the animals in their care. There should be an outdoor area where they can play. Make sure all feces are picked up as soon as the pet potties. Look to make sure the pets occasionally have time to rest by themselves. The facility should be willing to feed your pet their own dog food. 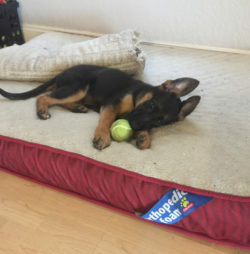 Pets will often feel more comfortable if they have their own bed, blanket and a toy. Make sure the facility requires up to date vaccinations of all animals in their care. If they board cats, there should be a separate place away from the dogs for them to have some peace and quiet. Litter boxes should be cleaned daily. An important note to keep in mind is that a lot of cats are happier in their own home. They are truly creatures of habit and may be stressed in a kennel environment. A pet sitter may be the best option for your cat. Whether you choose a pet sitter or boarding place, they should give you a report on how your pet is doing in their care.